The instantaneous click. The quick browse. The purchase. An email marketer’s dream. To achieve this dream result, email marketers must first devise the method through which they can convert their subscribers to buyers. There are plenty of email newsletter strategies to get the most out of your subscriber base. But what about when you want to directly incentivize your readers to take immediate action? This article is an overview of the key elements of direct response copywriting, and how this form of email marketing adds value to your brand. Direct response copywriting is a process that begins by determining the primary goals of your particular email or campaign. Once these are determined after learning how to build an email list, it is time to plan the route you’ll use to achieve them and demonstrate value to your email list. 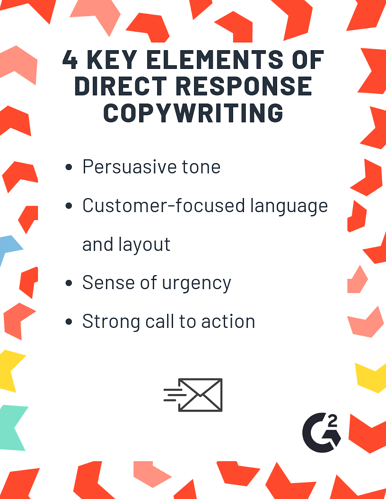 These four key elements of direct response copywriting are essential to demonstrating the value of your brand and inspiring your readers to further engage with your company immediately after reading your copywriting. This value should directly funnel your subscribers to help you accomplish the initial goals you set out to accomplish when creating the campaign. Pathos is essential in direct response copywriting. The goal of this copywriting is to inspire immediate action from your readers that engages directly with your brand. To accomplish this goal, your copywriting needs to be persuasive. Try tugging at your reader’s emotions and addressing their worries, fears, pain points, or immediate needs to bolster the persuasiveness of your argument. By highlighting what the reader does not have, you increase the chances of them finding your brand’s services to be a way to fill that gap. Emotional arguments also add an element to the reader’s decision that is more than simply a quantifiable or monetary one. For example, the value of new running sneakers could be amplified by direct response copywriting that highlights the positive feelings of accomplishment and strength that accompany running a marathon. Persuasive writing that appeals to emotions is integral in eliciting an immediate action in response. Stronger emotional pull towards a product or decision may convince a customer to ignore their budget, or other deciding factors. Direct response copywriting keeps its focus on the customer through second-person perspective and framing the campaign on the reader’s individual experience. Too much of marketing theory and design is focused on why your brand is better than its competitors. 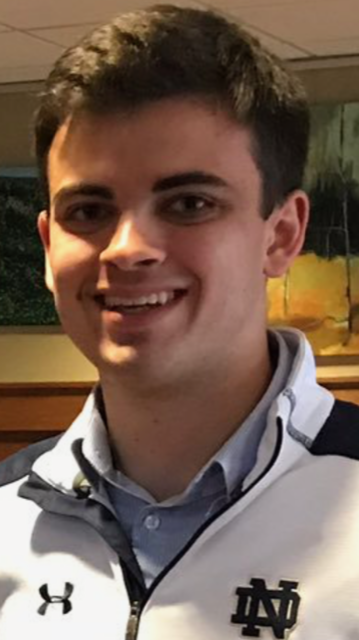 Sure, it is nice to have a leg up on the competition and demonstrate the value of your brand over others. However, keep in mind that customers generally aren’t thinking about how your product compares to competitors. Customers care about solving their own problems and achieving their own goals above all. Direct response copywriting emphasizes psychology as much as language. Keep in mind where the reader’s eyes go when they receive the email and what motivates them to act. The content you create should delight readers, alleviate their pain, or provide some small slice of happiness that they can pursue via your call to action. Keeping your copywriting customer-focused also simplifies your campaign and makes it easier for the customer to apply it to their own life. Try not to overcomplicate your campaign with too wide of a product or industry lens, as it risks the making the customer feel small. If you illustrate directly to the customer how your brand can help them on their individual journey, you’ve generated value in the eyes of your reader and have taken a step towards earning their trust. If the end goal of your copywriting is to provoke a quick response from readers, you’ll need to either demonstrate that through upcoming deals and savings, or make an argument so strong that the reader doesn’t hesitate to act. If you choose the route of unique deals and savings, you’ll need a call to action that provides time-sensitive offers. You’ll also need to display the value of accepting your ask now instead of some time in the distant future. While this strategy might be effective in the short-term, it does not lend itself well to strong copywriting and does not always create a sense of value for your brand in the customers’ eyes. Ideally, your direct response copywriting should communicate a strong enough sense of urgency that the reader does not need any additional impulses to act upon your ask. The ultimate aim of cultivating this sense of urgency from your reader is a feeling that there is organic interest in your brand based purely on image and reputation rather than special one-off sales and savings offers. The final and most essential aspect of direct response copywriting is having an easy way for your reader to take action on the emotional appeal sitting in their inbox. Direct response copywriting is nothing without an immediate, measurable outcome. A strong call to action provides an avenue for this outcome. Through a strong call to action the reader can be converted into a consumer and deliver the intended result of a direct response that you set out to achieve in writing your email. This call to action can take multiple forms, depending on the goal of your campaign. If your campaign is aimed towards a newsletter sign-up, you can include a call to action that links directly to a landing page where a signup form is pre-filled out. For an aim such as a sales call, you could include a click-to-call button in which recipients are launched to a calendar to mark their desired times for a sales call. These key elements of direct response copywriting provide the basics to making an emotional appeal to your reader, and in turn receiving a direct action. Keep the emotional aspect of direct response copywriting in mind when composing your emails, and make sure this emotional appeal cascades to a strong call to action. With well-written and emotionally appealing direct response copywriting, you’ll be converting readers to customers and making big strides in establishing the strength of your brand.